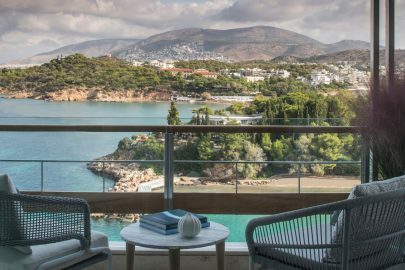 This beautiful peninsula, located in the NE part of the Peloponnese, is where you will find two popular towns within a short distance from Athens (a two-hour car trip) and from the port of Piraeus (by flying dolphin). 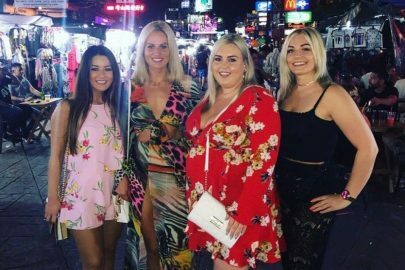 In this area there are resorts much-preferred by international glamorous visitors as the place combines great natural beauty and a cosmopolitan ambiance. On its low green hills fine mansions lie scattered, almost out of sight. Five star hotels offer their high quality services by the lacy shores. In the successive lee inlets, marinas provide luxury yachts with berthing and related services. So, let’s discover all there is to know about this beautiful land! It’s a seaside town built on a cape, surrounded by pine trees, that strongly resembles an island. You will enjoy the lovely beaches, and the picturesque little harbour lined with popular fish tavernas and clubs for a crazy night out. – Bisti, a luxuriant pine wood at the edge of the promontory, a location offering a fine view and the ideal place for a refreshing long walk to the hilltop where you can see the foundations of an ancient temple. 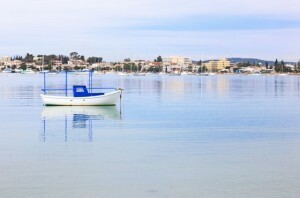 – Lively Mandrakia neighbourhood where you can enjoy your coffee or meal by the seashore. – Agioi Anargyroi monastery (11th c.). Make a point of visiting the remarkable library in the premises as well as the wonderful wood-carved iconostasis in the church. – Katafyki ravine (4.5 km N) where vegetation is rich and there are impressive caves hewn in the rocks. – Kappari islet, at the cove’s entrance, you’ll find a diving school there. The area’s beaches are definitely worth visiting; they are numerous and they can cater to all tastes. There are little coves you can visit around Bisti, Kouverta beach with a dark-coloured sand and calm waters, Petrothalassa, a sandy beach stretching as far as the eye can see, Dardiza pebble beach, Sentoni as well as the beaches in Thermisia and Plepi. 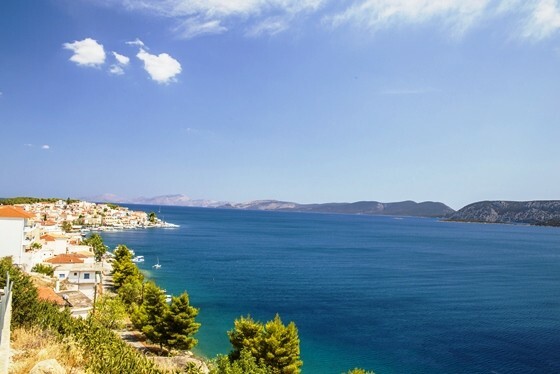 Other nearby interesting destinations are Iliokastro, a place famous for its fine vineyards, ancient Eileoi (pronounced Ilei) with significant archaeological finds, and Thermisia village where you can visit a Venetian castle on an imposing 350m. rock. If you wonder how a natural little harbour could have evolved into a destination that is famous the world over, here’s the answer to that! The almost enclosed bay includes a large marina facility that is a must-visit spot for famous visitors and their yachts. A breathtaking nature surrounds the bay and the lacy shoreline of turquoise waters creates a surreal location that resembles a film setting. 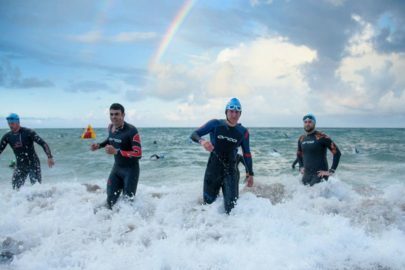 Water sports, diving, and hiking combined with relaxing sessions in luxury hotels are on offer to those who seek out pleasures in life. Ververonta lagoon is the perfect location for a springtime stroll in the country or for a summertime dive in its waters. Other great swimming locations are the small beach in Porto Heli; the golden sands in Chinitsa; and Kounoupi, a beach with transparent waters. You will get the best sunset view as well as a clear view of Spetses Island if you visit popular Agios Aimilianos [St. Aimilianos] area, named after the local chapel. 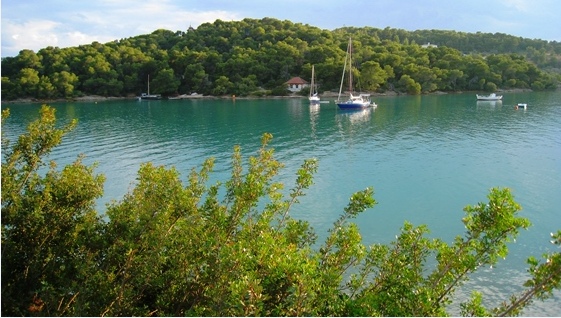 (4km SE of Porto Heli). 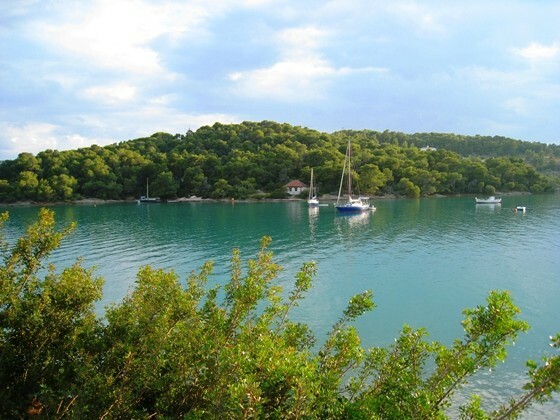 Porto Heli is the location of the ancient town and the acropolis of Alieis (pronounced Alees) (6th – 5th c. BC). The archaeological finds are on display at the Museum of Nafplion and at the Folk Art Museum of Kranidi. Throughout the year, there is a sea taxi service or a ferry connection from Kosta (5km. off Porto Heli) to Spetses Island. Cave Fragchthi (pronounced ‘Frachthi’) is the place where the oldest human skeleton in the area of the Aegean Sea was located, near Koilada, a picturesque fishing village. The rare finds from this cave are exhibited in the Archaeological Museum of Nafplio. Didymoi cave is yet another impressive formation (20km off Porto Heli). Agios Georgios chapel overlooks this huge concave depression on the mountainside.